A smile should never retire. As we age, there are many things to smile about and we want you to have a healthy and good-looking smile. Nowadays people are living longer and looking to enjoy life to a much older age. That's why it is ever so important to make sure your teeth stay healthy so they can serve you for a lifetime. 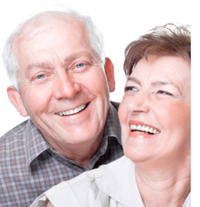 At Bloor West Dentistry, we understand that as adults age, so do their teeth, and as a result older patients may need personalized care to ensure their oral health is maintained. We believe an informed patient makes the best decisions so we are always prepared to discuss benefits of treatment and prognosis. That is why we encourage you to ask any questions you may have. It is our goal to provide the best dental care for your long term dental health.